The WITS Primary Program teaches children in Kindergarten to Grade 3 to make safe and positive choices when faced with peer conflict. The WITS acronym – Walk away, Ignore, Talk it out, and Seek help – provides a common language that children and the adults in their environments can use to talk about and respond to peer victimization. 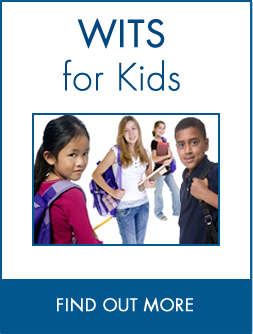 The WITS Primary Program was created by educators for educators with an understanding that effective peer victimization prevention programs should enhance learning environments – not workloads. Program resources are designed to weave comfortably into the daily life of the learning environment. 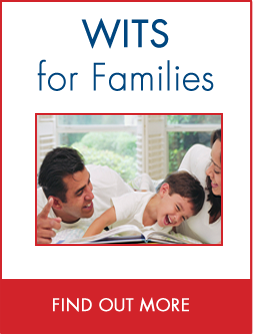 Book List & Lesson Plans – Lesson plans based on popular children’s books integrate easily into a variety of subject areas, helping educators meet provincial/territorial curricular requirements while supporting the WITS message. For optimal effectiveness, educators should use a WITS lesson plan with their students at least once a month. Classroom Resources & Activities – Educators can also reinforce the WITS message in their classroom by involving students in activities like a poster contest or the WITS Special Constable of the Week program. Even displaying a WITS poster or distributing WITS bookmarks can help keep the program strategies fresh in students’ minds. 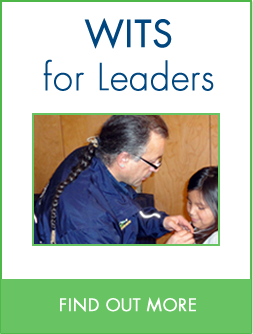 Resource Guide – The WITS Programs Resource Guide aims to facilitate the implementation of the WITS Programs in schools and communities across Canada. 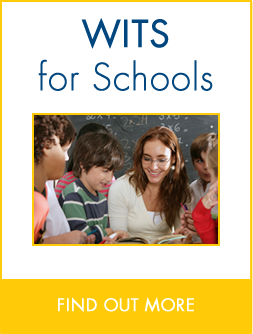 It provides full details on the WITS Primary Program, contains its complete lesson plans and suggests helpful hints for implementing it in the school environment.